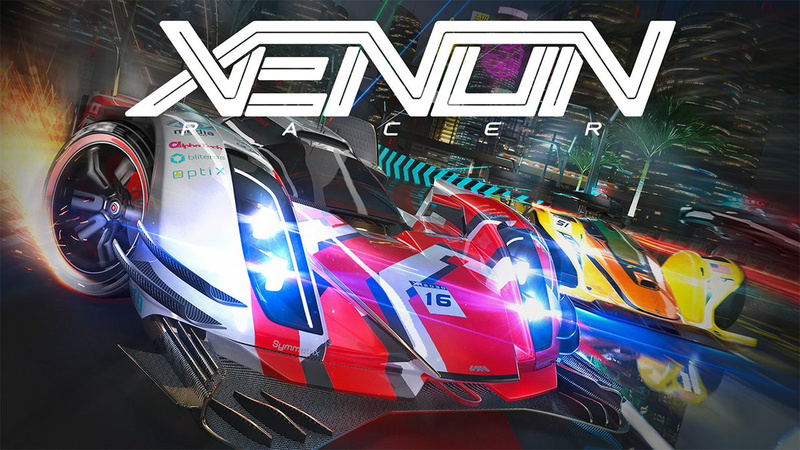 Xenon Racer has had a rough opening lap on Switch - the game came under fire for being entirely misrepresented on the eShop, and we didn't exactly fall in love with it in our review - but things certainly seem to be on the up. More detailed info is expected when the first of these content packs drops in May. If you bought a copy of the game for yourself and were hoping for a little more from your puchase, hopefully this new content and the promised improvements will give you just that. 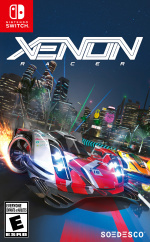 Have you bought Xenon Racer? Will you check out these free updates? Tell us below. I bought Xenon Racer, boxed and am just waiting for the 1.04 patch to get my hooks into it. The only useful headline would be "Xenon Racer receives the cancellation from the eShop and dealer shelves"
They could release 100 new tracks for free and support the game for 2 years but that doesn't make up for the fact that they tried to deceive buyers and released their game in a completely unacceptable state. These guys don't deserve any press coverage unless it's negative. I bought it digitally before release, before word of the state of the game got around. I'm waiting for the 1.04 patch before digging deeper into it. I hope they sort it all out because, despite the horrendous pop-in, the game is a ton of fun. After the poor reception for the controls, game mechanics, and game performance, seems like Nintendo should never have spotlighted this game in a Nindies Direct. Im waiting for the REAL PATCH that fix everything, then im going to really think about it. @Shiryu Modern gaming really depresses me sometimes that we can't just load up a game out of the box without all the updates and Day 1 patches that are now the norm. I got my hopes up for F-Zero VR ! @Rob3008 Indeed, we have lived trough better, simpler, 60fps out-of-the-box times. Now we suffer because we remember those days. What I don't get is if they got Skyrim to work on Switch, how can a company not get anything else to work? @Shiryu @Rob3008 I have to disagree. 30 fps is acceptable as long as it's steady imo. Example: Monster Hunter Generations Ultimate. What I miss are the days where buying a game meant you bought a complete game. A polished 100% complete product. Doesn't mean it can't have bugs but it should at least look and play well. It should have enough content to justify it's price point. That's truly what I miss. I don't mind DLC as long as it's fairly priced, and constitutes actual gameplay. IE: NOT MICROTRANSACTIONS. Why even bother? You can't polish a turd. I'm glad they are fixing their mistake but c'mon these are stuffs that should had been tested before release. As for the free extra contents, those are the icing on the cake hopefully they don't screw those up. They need to make the cake good first before adding the icing though. @EasyDaRon not much for second chances eh? Believe it or not everyone has to start somewhere and mistakes can and will be made. The important part is that they’re learning from their mistakes and respecting their consumers by righting the ship. Was it a bad move that they seemingly tried to take advantage of consumers to begin with? Of course. But a lesson has clearly been learned. Today is also a big day because Dangerous Driving is coming out on PC/PS4 and XB1. However 60fps is only coming to PC, PS4 Pro and Xbox 1 X. Even worse the PC version is Epic Store exclusive (which I don't have and Am not to keen on having yet another digital store to spread my digital collection). As such I do not understand why it is so difficult to nail the arcade racer genre in current times when we have all the technology and power available at the tip of our fingers yet all we get is sub-par content time and time again. Stable 30fps? Good. Stable 60fps? Even better. Neither? Unnaceptable. Nintendo either police the eShop better or they implement SONY's new 14 day return policy for "Faulty" games (and also pre-order cancellations) in the PSN Store. @Primarina Racing games should never be less than 60. Sadly, even the PS4 version of this apparently hovers around only 50. The damage is already done, some free content updates aren't going to cut it. @Shiryu Ha, I've seen you mention this game several times over the years, and it certainly piqued my interest. I was glad I was finally able to track down an iso of it, a couple of months ago, so I could add it to the hard drive of my soft-modded Wii. Still haven't found the time to play it, though, but now that I have it, there's no rush. I'll get to it eventually. @ChromaticDracula Tis is nothing like extreme G. This is more akin to a 90's sega racer. @Shiryu For arcade racing on the switch, I'd definitely recommend Horizon Chase Turbo. 60 FPS consistently on Switch with great graphics, music and gameplay. @HikaruKitsune. I would have to disagree, respectfully. There are many racers that run extremely smooth even at 30FPS. @Shiryu I completely agree with you. It's like we're regressing when it comes to performance in arcade racers nowadays. How the hell can a PS4 not run Dangerous Driving at 60fps? The PS3 era was the pinnacle of arcade racers, both great graphics and great performance. @Primarina Horizon Chase is a souped up Amiga racer, not a true arcade racer. I love it but it's not a true racer. @ThanosReXXX It's good. It's damned good. Glad this is getting more content will still probably pick this up eventually! @Primarina I have that one on PC since day one... and on Switch since day one as well :x . Will buy it again when it receives a Switch physical edition. I truly love it because I grew up with a Commodore Amiga so I'm right at home. But it is in essence a flat polygon game emulation 2D sprite scaling racers . It is the track that moves while you steer the car left and right. I prefer true 3D arcade racing games like Burnout, Daytona* and so forth. Even more so if they are futuristic in nature. 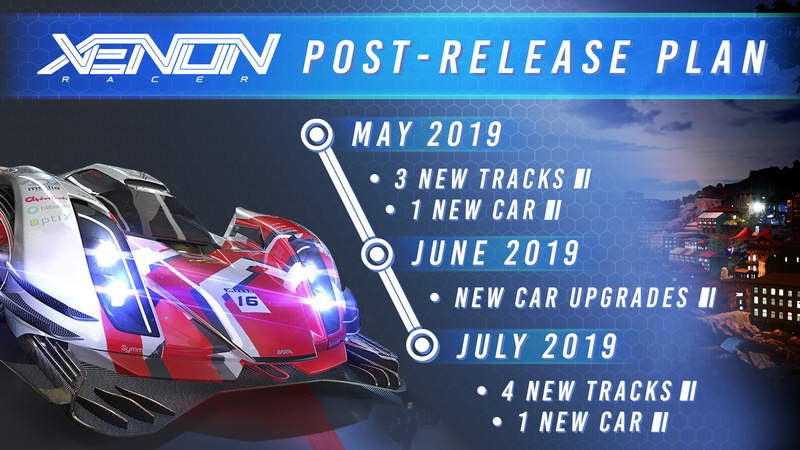 As such it is a real shame to see Xenon Racer in its current state, more so because I played both the closed and open beta of the game for PC, the only platform where the game is currently truly shinning. @nmanifold No offense intended but Horizon Chase Turbo is in fact an arcade racer. It is based off of both Outrun and Top Gear which were considered arcade racing games. Same style and gameplay, and most importantly is an emphasis on speed, vs real world physics. @Shiryu I was hoping Xenon Racer would reinvigorate that Ridge Racer scratch, but I've avoided it due to the press. I can see where you are coming from, and right now the closest thing you'll get to that is Mario Kart sadly. For true racers I'm excited for Grid: Autosport when it release in May. @Primarina Outrun is 33 years old, Top Gear is 27 years old. Horizon chase is a modern re-telling of an old style of racer, it's a retro racer, not an arcade racer of recent times. Yes Grid: Autosport is the only decent looking arcade racer coming out. Besides Virtua Racing, my favorite old arcade game ever. I also have the original two games on Nintendo 64 but these sequels did the same F-Zero GX did for F-Zero X for the series. A shame Acclaim went down the tubes and sadly a lot of IPs like this one. And here we are now in 2019, where we were supposed to have flying cars and what not and all we got is... this. @Primarina I too look forward to Codemasters ending this racer drought on the system once and for all. Even the Wii U got the brilliant dedicated edition of Need for Speed U: Most Wanted and we are not even getting a Burnout Paradise Remaster (yet?) on Switch. @nmanifold @Shiryu I was not intending to start a comment war. Lol. I do wish Wipeout returned to Nintendo at some point. Grid Autosport will be great as the last simulation styled racing game was sadly disappointing. I had su h high hopes for Gear Club Unlimited 2. @nmanifold Indeed, and for what we see in Mario Kart 8 Deluxe, the system can handle much , much more. But everyone is developing games in Unreal Engine and Unity for other platforms and then do a Switch version as an afterthought... and it shows. @Primarina Oh, this ins't a comment war. This is just Tuesday afternoon around here. As for Wipeout... the bad news is that Pacer (including one of my music tracks on the soundtrack) is coming to everything but the Switch because they can't pull 60fps on current hardware. Still waiting for Redout to show up any day now... and 90's Arcade Racer. @Shiryu Yes this is unfortunately the case, downscaled rubbish. We need to see a racer built from the ground up for the Switch, but it doesn't look like we'll be getting that anytime soon. Which is bizarre considering the Switch sales and how well games sell on it. I'd kill for even ports of old PS3 racers. Yes 90's Arcade Racer looked great, but the rumour was it was killed by the publisher as Sega threatened legal action. @nmanifold Oh, juicy! That's news to me... We can't get any straight answer out of Nicalis on that one. Things are only looking up if you ignore the fact that even with multiple updates, it's a futurist racer that can't even hit 30fps. No thanks. @Shiryu more like it could be done, they either don't have the resources or don't feel it's worth devoting the resources for a native Switch build. @Shiryu I'm certainly inclined to believe it. I may not have played it yet, but I did let it run in demo mode, just to see what it would look like in real life, mainly because I only ever partially trust YouTube video, and not only did it look better in real life, it also moved along at a pretty brisk pace, so I'm pretty sure I'll have fun playing it. Might even get to it later this week or this coming weekend, if things go as planned. Terrible terrible game , doesn't need extra content, just need to be smoother better faster. I really think we are getting an exclusive ridge racer at e3. Very very good. I like free content I think I will buy the game as soon as I can if it will be correctly patched. Just keep patching it. I got the most recent patch 1.03 and it doesn’t give me much hope in the 4th patch so forget the DLC and just fix the damn game. @Shiryu By the way: it was actually quite entertaining to watch these old Extreme G games again. I also still own all 4 games on N64 and GameCube, and take them for a spin every now and then. It's amazing how well these games still hold up, gameplay-wise, and even in the graphics department, the GameCube versions are still quite decent, especially over an HDMI or component connection. They're certainly games that are great fun to play, and everyone that likes this genre, the futuristic arcade racer, has hopefully played them, if they owned either an N64 or a GameCube, otherwise they've most definitely missed out on some highly enjoyable games, with a really good sense of speed, that even the videos don't fully convey. What I also liked about them, is the realistic engine sounds, thanks to Kawasaki. Those people really were everywhere in the game industry, back in the day. The fact that they sponsored/aided both third party efforts AND first party Nintendo efforts such as Wave Race is testament to their dedication, or whatever the hell it was, but it sure made all the difference, far as I am concerned. Speaking of Grid, let us hope they learn from this game release and make certain a good game arrives on Day 1. @ThanosReXXX Yep, we had it good. We were fools and believed it would last forever, that incremental hardware generations would continue to push these games further... but alas, here we are now. @Shiryu Indeed. I wonder what they're up to. Perhaps someone should send them an email, or offer up a suggestion to his NLife colleagues that it might just be an interesting thing to do an article on them, or interview them concerning their current activities. I'd prefer if the game looked and ran better on the Switch rather than new content. If the developers were ok releasing the game in the state they did, and then back it up with misleading video, then the level of trust I have in them is zero. Which coincidentally is also the level of interest I have in Xenon.